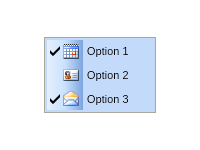 The WinForms Context Popups are popup windows opened in a context fashion. 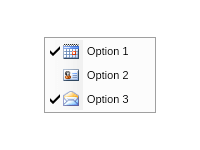 The WinForms Context Popup can show not only drop down menus, but any widget in a context fashion. The context menu is a Context Popup drop down menu opened in context fashion. 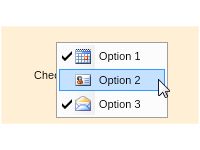 NOV WinForms Context Popup can show not only drop down menus, but any widget in a context fashion. That way you can create interactive context popups. NOV WinForms Context Popup is styled with CSS. NOV initially comes with the following themes: Windows 8, Windows 7, Windows XP Blue, Windows Classic (with all color scheme variations), Mac OS X Lion, Mac OS X El Capitan and Nevron Dark. I really like the fact that standard windows icons are provided with the NOV Ribbon example, avoiding the need to recreate the wheel and giving a more professional appearance. Using the provided Visual Studio NOV solution, it is fairly straightforward to add custom icons with a few extra simple steps. The gallery of C# examples for all controls makes it easy to create custom layouts. For the handful of customizations I could not find in the examples or user forums, the tech support responses got me going within a day. Copyright © 1998-2019 Nevron Software LLC. All rights reserved.